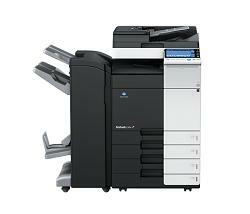 If you want your business to grow effectively, you need a color multifunction printer that can keep up with your needs. The bizhub C364 is designed to increase your print/copy output speed in color and B&W as well as improve your image quality. Get better productivity, information sharing and workflow efficiency from your color multifunction printer with the innovative INFO-Palette design.